Shoes, shoes, shoes. SO many choices, especially for spring/summer when feet come out to play and pretty-painted toes complement strappy footwear. 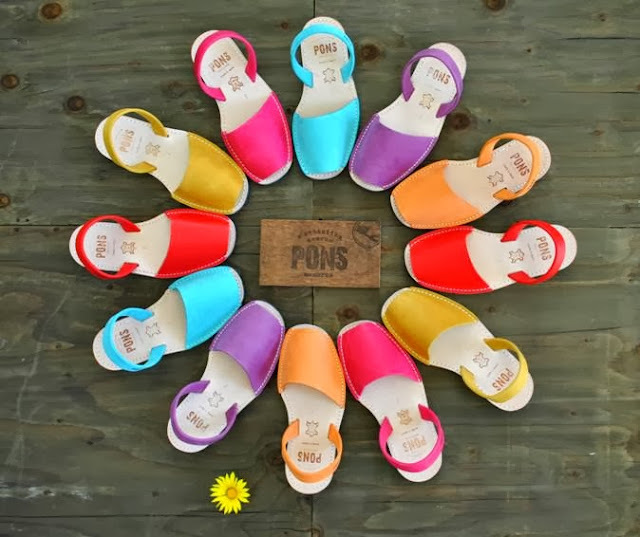 Meet the PONS Avarcas shoe: a line of shoes for men, women and children that are 100% handcrafted on the Mediterranean island of Menorca from high quality leather. 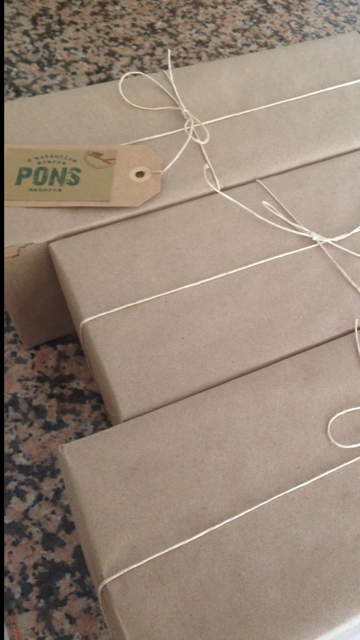 When delivered, expect the PONS Avarcas classiness to continue: your choice of shoe comes beautifully wrapped in brown paper and string... so stylishly old school! The PONS Avarcas is actually a favourite of Spanish royalty (it's such a classy, well-made shoe... you can see why), and it's perfect as your everyday sandal. If 'everyday' to you means sparkle as it does for me, you'll love the shoe I was gifted. Behold, gold glitter! 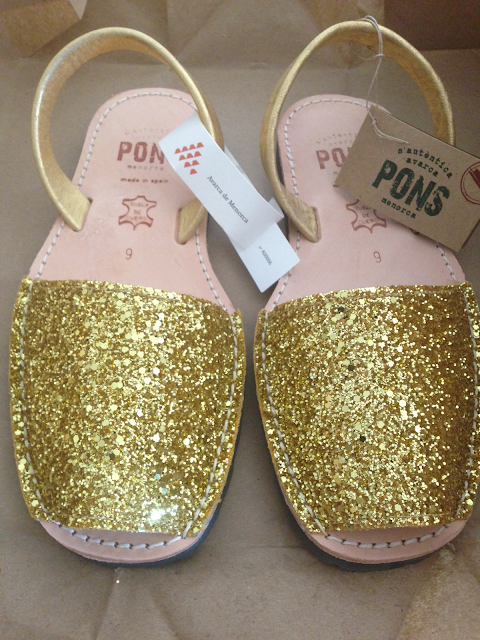 Each PONS Avarcas shoe is 100% handcrafted on the Mediterranean island of Menorca from high quality leather and rubber soles that features a wide range of colors in flat and platform styles for men, women and children. Can you believe, due to the huge popularity of Avarcas, some manufacturers have begun to produce fake imitations that are far from the authentic, artisan and top quality measures and materials used in the genuine avarcas. Imitation may be "the sincerest form of flattery" but this is plain annoying... and no doubt hugely uncomfy on your feet! 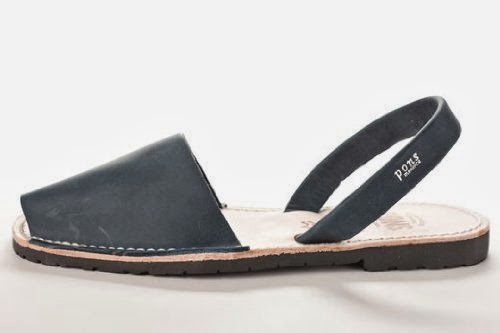 In an effort to protect the traditional Avarcas handcrafted in the island, the local Menorcan government (Consell Insular) and the Shoemaker Association of Menorca (Associacío de fabricants del Calçat de Menorca) have developed the official "Product of Menorca" seal that ensures the high quality standards found in the authentic Avarcas sandals. I think that's pretty darn cool, and ensures you're getting the real deal, always. The Spring/Summer 2013 line is divided into men’s, women’s and children’s lines. The women’s collection features a range of flat and platform styles with myriad straps. From classic neutrals to animal prints, there truly is something for everyone. This season features a range of on-trend spring and summer shades, such as aqua blue, coral, forest green, French blue, fuchsia, peach, purple, red, saffron, sand, taupe and crisp white.The collection also features a fun array of glitter styles in gold, silver and black. Click here for the women's range.